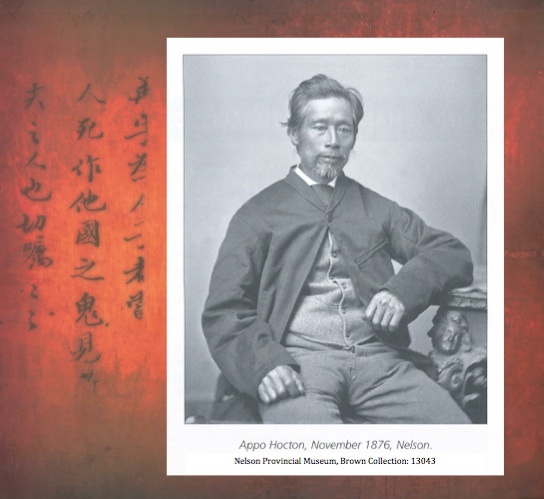 Nelson branch believes the story of Appo Hocton – Wong Ah Poo Hoc Ting, New Zealand’s first naturalised Chinese in 1853, deserves to be more widely known. 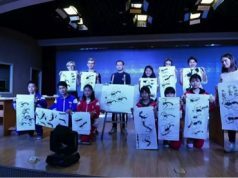 As a result, they applied successfully to the Society’s Simon Deng Li Fund for funds to reprint (2013) and distribute the Appo’s story to schools and other Chinese/New Zealand groups. Appo Hocton, arrived in Nelson in 1842, within months of its settlement. As a nine-year-old boy, Wong Ah Poo Hoc Ting left his village in Guangdong province, South China, to become a cabin boy on English sailing ships. In his early 20s, he was a steward on the immigrant ship, the Thomas Harrison, bound for New Zealand. After jumping ship in Nelson, he was employed by the vessel’s former surgeon, Thomas Renwick, as a housekeeper, saving enough to buy a bullock team and establish a carting business. His successful assimilation into colonial New Zealand society is illustrated in references from influential men, which accompanied his successful application for naturalisation, thus enabling him to buy property. 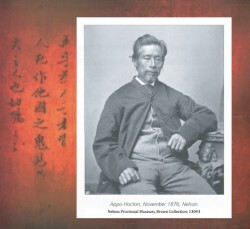 He benefited from arriving in New Zealand before the gold rush, when anti-Chinese sentiments began. Marriage and children to two European women followed, as Appo became, in turn, fungus and scrap iron dealer, property developer and farmer. Described as a gentleman upon his death in 1920, aged about 100, Appo Hocton’s story is one of migration, diversity, integration and acceptance. 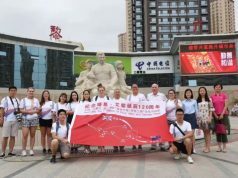 It is estimated that Nelson’s first Chinese immigrant and New Zealand’s first naturalised Chinese immigrant has about 1600 living descendants throughout New Zealand. The original research for the book was done by Steve Austin, Nelson Provincial Museum and Diana Clark (one of Appo’s descendants) and was sponsored by an Asia 2000 New Zealand Museums’ award and the Chinese Poll Tax Heritage Trust. The book, first published by Nelson Museum in 2010, was written by Karen Stade. Copies can be purchased for $16 each (incl. p&p), with special price of $12 each for bulk orders of 10 or more. All funds will support the Appo Hocton Scholarship and the teaching of Mandarin. 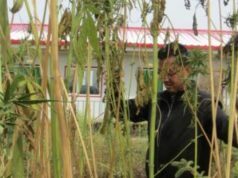 http://www.theprow.org.nz/people/appo-hocton – .UkrRtWTTVfQ for a summary by Karen Stade.